See how the locals live on on the Mekong Delta staying in a local guesthouse, then get your beach on in Nha Trang. Pagodas, history and yum yums galore in Hoi An and Hue. Drift the emerald waters of Halong Bay by boat and go for a snoop through any of Hanoi's many markets. This is your full-on trip up the coast of Vietnam and into Halong Bay. From hectic Ho Chi Minh City to historic Hanoi. Ready, set, pagoda. This is one of the most popular trips of Ultimate Odyssey and a firm favourite with our travellers. Limestone karsts and mysterious caves - Halong Bay feels a world away from the world we live in. Many other tour groups just visit for the day - we stay overnight on the boat. Where better to enjoy loads of free time than in the coastal city of Nha Trang, which features irresistable beaches, crazy-good snorkelling and even mud baths! There's great food wherever you go in Vietnam, but combine sumptuous snacks with cycling in the surrounding countryside and you will see why we love Hoi An. It's taken 400 million years for the Phong Nha Caves to look this good! Explore the spectacular scenery of underground rivers and caverns that form some of the world's largest caves. It's not just boring hotels on this trip where you could be anywhere in the world. We mix it up with a guesthouse in the Mekong Delta, overnight trains and of course our night on board in Halong Bay. You'll be staying in a simple local guesthouse in the Mekong Delta, with basic bedding, dorm-style rooms, shared amenities and cold water only. An authentic experience of life on the Delta with some delicious Vietnamese home-cooking. Also known as Saigon, Ho Chi Minh City is characterized by a vast array of sights and sounds, and is a fascinating blend of old and new. The huge number of people rushing about their daily lives in Vietnam's largest city gives it a dynamic atmosphere and the French influence is evident in the excellent baguettes sandwiches (banh mi) and coffee on offer. If you arrive early, this city has a vast array of sights and sounds to explore: ancient pagodas and cathedrals sit squarely up against the former Presidential Palace, historic Dong Khoi Street (the Rue Catinat from Graham Greene's novel, The Quiet American) and the bustling markets of Ben Thanh and Cholon (Chinatown). Many travellers choose to visit the Reunification Palace or War Remnants Museum here. Have breakfast at your hotel. Travel by bus to the Mekong Delta today (approx 3 hours). Explore Ben Tre, where coconut is everything and everywhere. Coconut candy anyone? The fertile delta is famous for its abundant harvests of tropical fruits and flowers as well as its waterways. Board a private boat and cruise along the maze of waterways to visit some local cottage industries. Then head to a guesthouse, our home for the night. Lunch and dinner are included today, so fill up on typical Vietnamese staples and enjoy some home cooking. Wake to dawn on the Delta and enjoy a simple breakfast before getting back on the boat and then head back to Ho Chi Minh City. You'll have a bit of free time here to squeeze in more sightseeing or street food. Shared hotel rooms will be available today between up to 6 members of the group, so you can prepare or repack if needed before your train journey. Late this afternoon transfer to the train station and board our first overnight train to Nha Trang (approx 11 hours). Settle in for the night and enjoy the experience of snoozing as you snake through the countryside, knowing you'll wake up in a new and exciting destination tomorrow morning. Sleeper trains typically have four berth compartments (occasionally six berth depending on seasonal variations and group configuration), which have bench seats that convert into sleeping bunks. A sheet, pillow and blanket are provided, although some travellers prefer to bring their own sleeping sheet. On occasion, passengers of different genders will be required to share a compartment and there will be times where you'll be sharing with local travellers or others who are not part of your group. Some trains have a dining carriage serving simple food or snack carts, but travellers tend to prefer to take some of their own snacks (bread, cookies, fruit etc) in case of getting the munchies. Arrive in Nha Trang at approximately 5am and transfer to your hotel. As it's early we may not be able to check in right away, but there's always a cafe selling Vietnamese coffee nearby to perk us up. We will have shared use hotel rooms before regular check in. Nha Trang is one of Vietnam's most popular beach side cities. In recent years it has ended up on every Chinese and Russian tourist's bucket list, which means that you'll see plenty of other travellers around town. 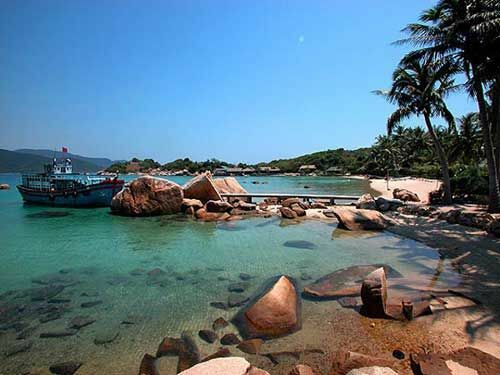 Still, Nha Trang's sandy palm-lined beach and island-dotted bay make an idyllic picture. Spend your days here soaking up the sun on the beach, exploring the local markets or checking out the ancient Cham Towers nearby. Make sure you try some of the excellent seafood restaurants - you are right by the sea after all! Have breakfast at your hotel. Today is the day is all yours! Fit in some more time seaside or maybe check out the mud baths. There's also a palace near here known as the Bao Dai Villa. Board our next overnight train late in the evening, this time bound for Danang (approx. 8 hours). Arrive in Danang around 7am and travel by private vehicle to Hoi An (approx 1 hr). Declared a World Heritage site, Hoi An is being beautifully restored and preserved. Today, parts of Hoi An look exactly as they did more than a century ago and it retains the feel of centuries past, making it the sort of place that grows on you the more you explore it. It's also a shopping mecca – with so much to browse and buy.Spend your hard earned pocket money on original paintings, handcrafted woodwork, ceramics, embroidery, lanterns and more. Hoi An has also become famous for its tailoring, with a great variety of fabrics and tailors to choose from. Bring your favourite piece of clothing or even just a picture, and you'll be able to have it copied. Sweet! It's not just shopping here though. Your leader will take you on a walk through the old town streets and cooking classes here are always a hit. 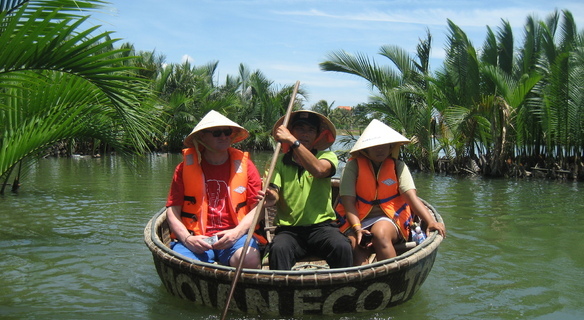 In the late afternoon, you will attend the group tour Hoi An by night with home host meal. If you don’t like to eat in a tourist restaurant and want try authentic Vietnamese food in local house. Here is your perfect choice. Eat with local! This one of our favourite days of the trip! There's no better way to explore the peaceful countryside of Hoi An than by bike. Your leader will take you to places not every tourist gets the chance to see, past green rice paddies and small creeks and out into rural Vietnam. It's a leisurely cycle, no need to be a professional. Please note that helmets are not included for the bike ride today, so if you would prefer to wear one consider bringing one from home. Departing Hoi An by car, we pass by My Khe Beach before crossing the dramatic Hai Van Pass to the picturesque fishing village of Lang Co. After a quick break here, continue on to Hue. Total travel time is usually 5 hours, including stops. As the former imperial capital of Vietnam, Hue holds the treasures of Vietnam's royal past and is a curious mix of bustling streets and tranquil settings. Your afternoon is free to explore. The Dong Ba market, which sells everything imaginable, is a great place to spend some time. Visit the Imperial Citadel, including the Forbidden Purple City. The latter was almost totally destroyed during the Vietnam War's Tet Offensive, but the foliage-covered ruins are still atmospheric and the gaping holes left by bombs give an idea of the destruction wreaked upon the country during the war as well as a glimpse of the distant past. Then visit Dong Ba market, the biggest and most significant market in Hue in particular and Central Viet Nam in general. Continue your journey to discover the Imperial Citadel then make your way to the Hue Royal Antiques Museum to see a collection of ornaments. Hue Royal Antiquities Museum where preserves royal treasures has a history with many changes. The main exhibition house of the present museum used to be a palace under Nguyen Dynasty, called Long An Palace. It was built in 1845 by Thieu Tri King, located on the north of Ngu Ha River. It was a type of “isolated palace” for the king. 12:00 - 12:30: Back to your hotel. 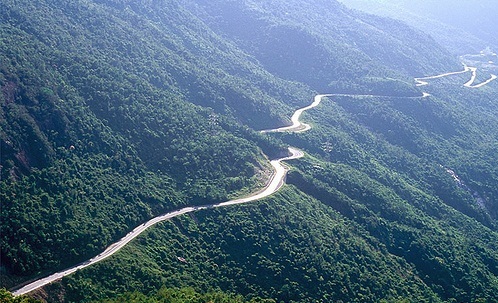 Get picked up from your hotel and travel your way to Phong Nha today, around 4 hours journey. On the way there's the chance to check out the Hien Luong Bridge – it's smack bang on the 17th Parallel, so it separated the North from the South during the war. You can also choose to head underground at Vinh Moc Tunnel, an expansive network of limestone tunnels that locals used as shelters from the bombing. Travel on and take the afternoon to explore your surroundings. You'll stay just outside town, and there are loads of optional activities to take advantage of. Phong Nha-Ke Bang National Park is an amazing landscape riddled with caves and underground rivers. Take a boat through Phong Nha Cave, or check out one of the spectacular huge caverns such as the giant Paradise Cave. Make the most of your time in Phong Nha - Ke Bang National Park. This is a UNESCO World Heritage site and is the oldest karst (which basically means underground eroded limestone) mountain range in Asia. These caves are over 400 million years old so there's plenty to explore. Jump on one of the optional tours available or just take in this stunning scenery. Later today you'll head back to Dong Hoi and hop onto our final sleeper train, leaving around 8pm. You'll be pro at this now and know exactly what to do! Arrive in Hanoi very early (like 5.30am early!) and transfer to your hotel. Shared use hotel rooms are available at your hotel and have breakfast at hotel this morning before check in. The capital of Vietnam is a charming city with a population of over six million. Hanoi is famous for its beautiful lakes, shaded boulevards, verdant public parks and its thriving Old Quarter, which is an architectural museum piece with blocks of ochre buildings retaining the air of a 1930s provincial French town. As Vietnam develops to compete with other South-East Asian countries, the beautiful Hoan Kiem Lake reflects the contrasts of modern office buildings, old Buddhist temples and the tangle of ancient streets in its still surface. Free at your leisure untile evening to get picked up for Motorbike Group Tour. 6.00pm – Your Tour Guide will pick you up at your hotel. 6.10pm – Meet the group and have a full safety briefing about the Tour in meeting point with Egg coffee/chocolate/matcha or soft drink/juice. 6.30pm – Ride outside of the Old Quarter, where most tourists don’t visit, to see the real local lifestyle. 7.30pm – Stop for Dinner. You will experience dinner at an authentic Vietnamese Restaurant with a wonderful variety of unlimited food to cater for every taste. 8.30pm – Ride pass Red river & Long Bien Bridge to see the night lights outside Hanoi’s Old Quarter. 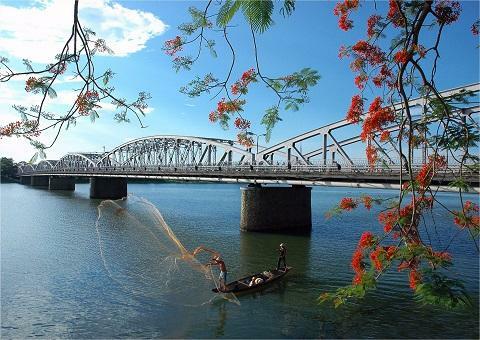 Long Bien Bridge is considered the symbol of the courageous capital city in wars. Today, Long Bien is only one of the five bridges crossing the Red river of Hanoi. However, it may be the most special bridge with unique historic, architectural, and cultural value. It is the only bridge in Hanoi where all the riders have to go in the left hand side, where tourists can take a walk and taste mouthwatering desserts offered by vendors, where Hanoians can buy fresh vegetable or fish for the dinner from the small afternoon market on the bridge. Continue to ride around the city, pass some of the most majestic, historical buildings including West lake area, Hanoi Opera House…Take a number of short stops to take photos and learn about the history of the site. 10.00pm - If you like to experience more about the Old Quarter, feel free to ask our Tour Guide and he or she will be pleased to guide you or you can choose to get back to the hotel. End of tour and we always look forward to meeting you again. Travel by minibus (approximately 4 hours) to the awesome World Heritage site of Halong Bay. This secluded harbour has something like 2,000 little limestone islands. And the water is one pretty green scene. It's one of Vietnam's most 'scenic' places, so get that camera ready. You'll jump on a boat and cruise the bay so you can take it all in. You'll explore some of the awesome caves in the area and fill up with both lunch and dinner onboard. What's on the menu? Seafood of course. Enjoy optional kayaking or swimming. Once you settle into junk boat life you won't want to go anywhere – so spend the night rocking away on the waters of Halong Bay (with the waves and maybe a spot of karaoke). Pack a smaller overnight bag to take to Halong Bay as it will make it easier for boarding your boat. You can store your main luggage in Hanoi for tonight. There are restrictions on the number of boats that are permitted to stay in the bay overnight. To ensure all travellers can be accommodated on board available boats, on rare occasions you will stay on a larger boat (with approximately 12 cabins) and share your boat with another group. Or your group may be split across different vessels. If this happens a group leader will be present on each boat, and the route taken and inclusions on board will remain the same. Perhaps wake up early if you want to practice some Tai Chi on the deck. All that is left to do is enjoy another meal prepared by your crew as you cruise on in to port around midday. Take a bus back to Hanoi (approx. 3 hours) and free at your leisure.